The Green River Festival is now less than 4 weeks away, and they've announced their daily schedule, and as always, there are some decisions to be made. While I love the multiple stages of festivals, and I love having options for when there's an artist on I can't get into, I hate having to decide between two favorite artists. The biggest for me is deciding between J Mascis and Lydia Loveless. J Mascis is a decades long favorite of mine, and Lydia Loveless is a year long absolute obsession. I've seen Mascis solo a handful of times, and I've never seen Loveless, so you'd think this would be an easy choice. But this is J Mascis we're talking about. Luckily, they only have a 15 minute overlap so it'll just have to be a last minute decision on what to miss. Of course, there's also the overlap between Polaris and Langhorne Slim & The Law, which is almost a complete time for time overlap. I discovered The Adventures of Pete and Pete in my 30s, so I don't have that sense of nostalgia people slightly younger than I will have for Polaris. But Langhorne Slim seems to tour a lot more than Polaris does. This one might have to be a 50/50 split. There are still some other tough choices. The Milk Carton Kids overlap slightly with Lydia Loveless (she wins) but completely overlap with Arc Isis. The end of Lydia Loveless will overlap with Booker T. Jones (again, she wins), and half of tUnE-yArDs overlaps with half of The Wood Brothers. But I guess having too much to see is better than being bored while waiting out a disappointing live set. 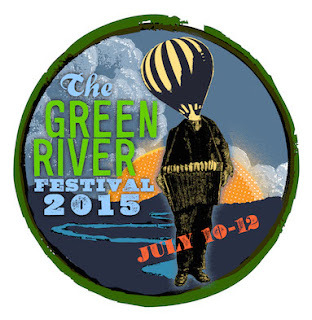 You can check out the full schedule for this year's Green River Festival on their website. Also, make sure you buy your tickets sooner than later since last year's festival sold out in advance.